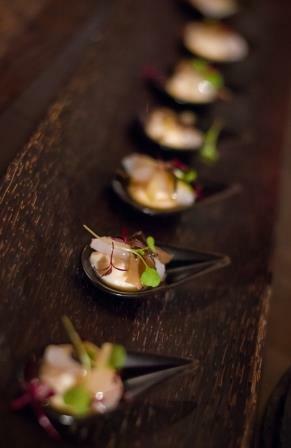 Create hosted a venue showcase event at Bermondsey event space Ugly Duck last night (3rd November), complete with innovative cooking demonstrations. 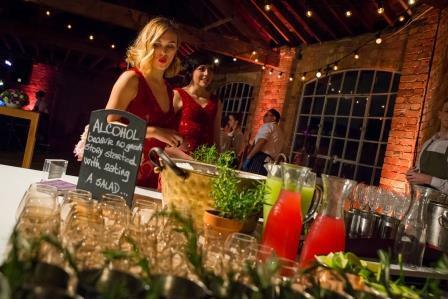 Guests included venue managers from Middle Temple, the Natural History Museum, LSO St Luke’s, the O2, Truman Brewery and Troxy. 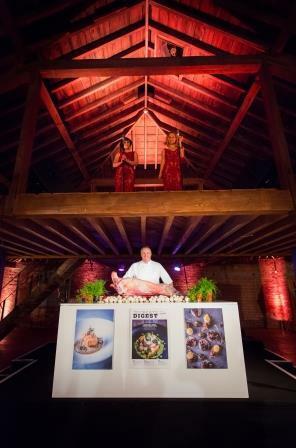 The 19th Century warehouse set the scene for a series of demonstrations from the team, including Group Executive Chef Darren Deadman and Development Chef Euan Peach. Darren Deadman demonstrated a selection of Create dishes, including two lamb dishes: confit shoulder, confit for 12 hours and then pulled, infused with shawarma spices and lightly fried, and leg of lamb, salt baked whole on the bone and served with fresh goat’s curd and Kalamata olives. Darren also demonstrated wild mushroom and talleggio arancini. 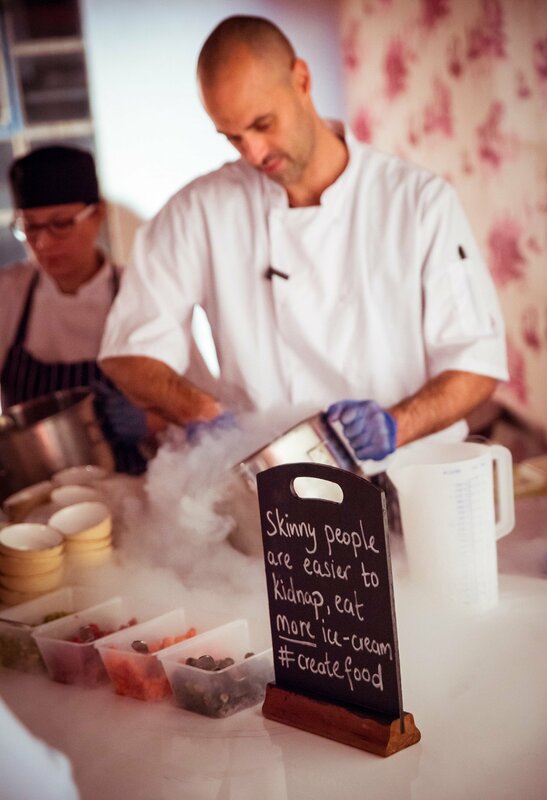 In the Nitro Room, Euan Peach showcased Create’s kitchen wizardry live in front of guests. Euan served liquid nitrogen ice cream; topped with roasted pineapple, maple-roasted pineapple trance, white chocolate mascarpone and chilli tuille. Due to the rapid freezing liquid nitrogen causes, the crystal grains of the resulting ice cream are smaller, giving the ice cream a creamier texture, allowing one to get the same texture using less milk fat. The far room housed revolutionary cooking device The Green Egg, an outdoor cooker that blends ancient wisdom, modern technology and proprietary processes. This was used to cook neck of lamb, rubbed with seaweed salt and flash grilled, served with minted pea broth, and a vegetarian option of charred broccoli stem, buttermilk mousse, roasted onion shells and broccoli buds. 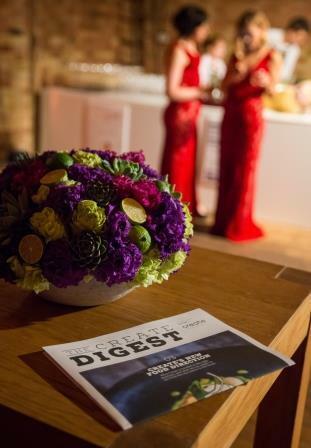 The evening also launched Create’s new publication, The Create Digest. The newspaper-style publication is full of cooking tips, interviews, and recipes to try at home. If you’d like to receive one get in touch. Fullcircle singers Valerie and Victoria entertained guests. Fullcircle managed all production at the event, and flowers were provided by Pinstripes & Peonies.